So it’s the 3rd of January and I am already out on the road with my first client of the year! Today I am out with a lawyer who is originally from New Zealand but has been living in New York for the last 12 years. Our initial discussions and needs assessment were about looking at properties in central south London; in areas like Borough, London Bridge and the surrounds. After spending a bit of time on the phone before the viewing I thought it would be an interesting comparison to show a greener area up north. As Belzise Park has similar commuting times to our client’s office it was an area we agreed to see as well. So the morning of the big day arrives and as always I run into a café to get myself an eye opener before the viewing day. On my way out, I call my client only to be asked if I was walking out of the café she was in! After apologising for walking straight past her we got into the car and the day started. As a newer style of property ,had been identified during our needs assessment we started in a fantastic art deco block right in the heart of Belsize. Unfortunately the property itself was on the ground floor and the light was not the best, so the start could have been better! Our second property was on the 1st floor of a purpose-built development around the corner. Great light, HUGE balcony and a brand new kitchen. The day was looking better! Spending the morning checking out 10 options in and around NW3 was eventful with some great options as well as some examples of how good estate agents photographers can be! My client was very surprised with the size, quality and how nice the area was. 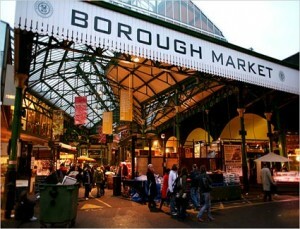 After a bit of a break for lunch at Borough Market we get started in SE1. Unfortunately this is also the time that the heavens opened and we were treated to a London downpour. We did have a good laugh about running from the car to properties and back again though so spirits were still high. 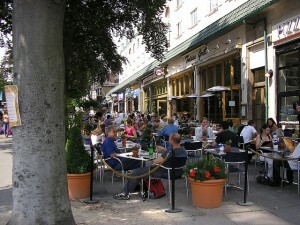 Comparing Belsize to SE1 is like comparing apples to watermelons! Going from a very green open area to a more central and bit grittier spot can make comparisons a little harder. We went from looking at some purpose built options near Borough and working towards Shad Thames where the properties were getting more and more impressive. As the afternoon went on we were trying to work out what was a better fit. The place in Belsize with the huge balcony or an option in Shad Thames with a 24 hour doorman, gym, pool and spitting distance from the Thames? After an evening of thinking over the options we decided to have a rethink of the option up north. 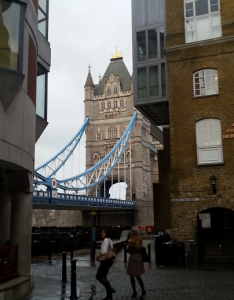 Taking out the views of Tower Bridge the work commute was not as ideal as the Belsize option so we contacted the respective landlords and started the negotiations again. After a brief negotiation I not only managed to get £50 per week off the asking price but also got the landlord to include some of the large items of furniture (as the flat was advertised un-furnished). 3 days later we have a signed lease from both landlord and tenant, check in times booked and the deal complete. Mat Paramor – Please feel free to connect with me on Google+ to arrange for a needs assessment and viewing day at your convenience.